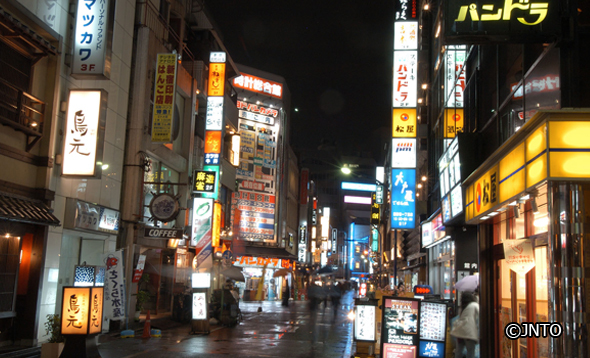 Glowing with neon lights every night, Kabukicho is known as the city that never sleeps. Located in the Shinjuku area, Kabukicho is Japan's largest entertainment district and is home to many restaurants, amusement facilities and movie theaters. The guide will lead you to little known "hole-in-the-wall" spots such as the Golden Gai which houses many small bars. 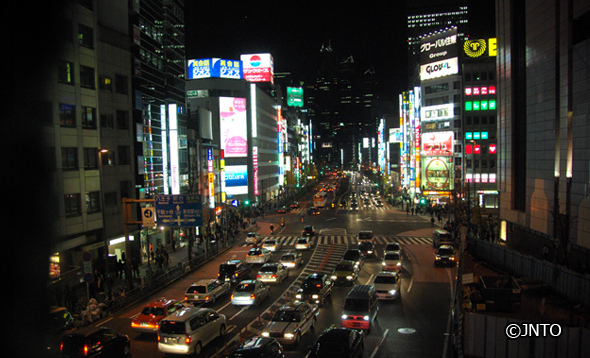 Let's visit Japan's largest entertainment district and experience Shinjuku in the evening. Enjoy a free glass of beverage at an izakaya in Golden Gai. To finish off the tour, the guide will take you through Omoide Yokocho, a small neighborhood reminiscent of Japan's Showa Era (1926-'89). 5:20 p.m - 5:30 p.m. Please be at the meeting location at least 10 minutes before departure. 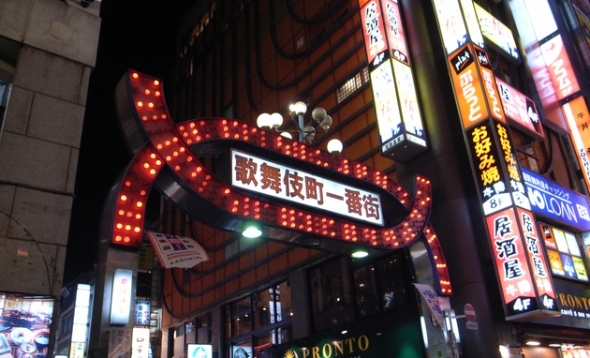 Starting from Shinjuku Station South Exit, the tour will visit Shinjuku East Exit Shopping Area, Shinjuku Suehirotei Theater (outside only), Hanazono Shrine (15 min) and Golden Gai, then take a walk through Kabukicho (Ichiban-gai, Chuo-dori, Don Quijote, game arcade, etc.) (30 min), then continue to Omoide Yokocho. *During the tour, the group will drop by an izakaya at Golden Gai and have a drink, and a serving of takoyaki will be provided in Kabukicho. Meals are not included on this tour. This tour ends at Omoide Yokocho. Please head to your next destination on your own from Shinjuku. During the tour, the group will drop by an izakaya at Golden Gai and have a drink. Aside from that, all food and drink costs are not included in the price of the tour. As you will be walking in a very crowded area, please make sure you follow the guidance of your tour guide. Itinerary locations and itinerary order may be changed depending on weather conditions and business hours of tour locations. Please inform us of your accommodation and contact details for the day prior to the tour. You will be contacted if the tour is cancelled. This tour is recommended for participants 20 years of age and older.